The master pear ring attaches quickly and easily to the winch cable. 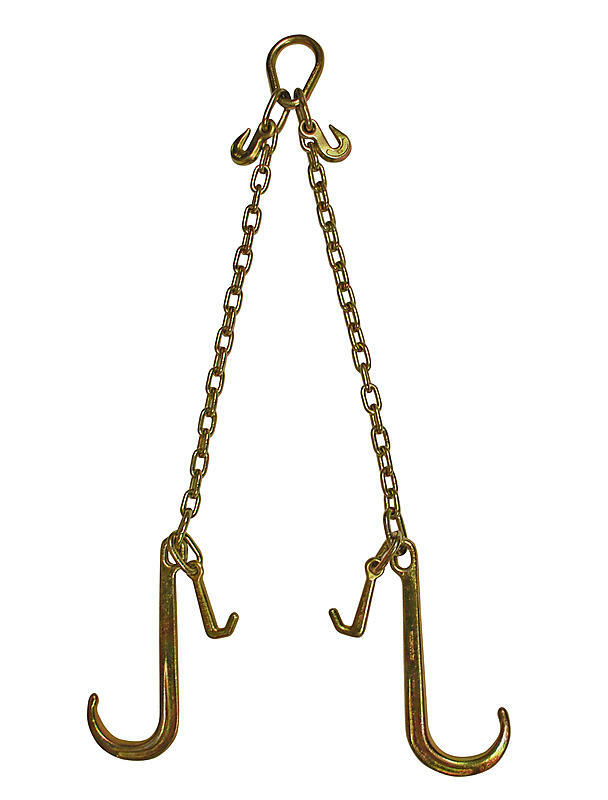 The 5/16” G70 grab hooks make for easy adjustment on the chain length. Each chain leg has a 15” Tow Hook and a standard J-Hook for vehicle frames. Perfect for the auto towing, transport and wrecking industry. Meets or exceeds all DOT specifications.